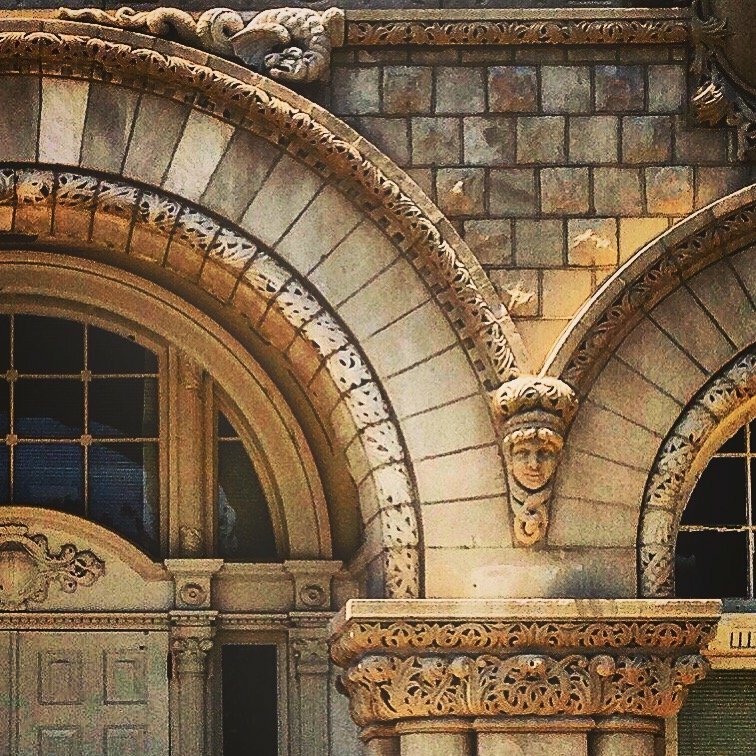 Photo Credit: J. Marshall Brown, Candidate, Master of Preservation Studies, Tulane School of Architecture. Free Long Distance (one hour every room every night), Soda and Popcorn from 3 PM to 10 PM every night in the lobby. You may start making your reservations at any time…. A small map of the St. Charles Streetcar Line is below. Have tried to note the approximate locations of the hotels with room blocks. 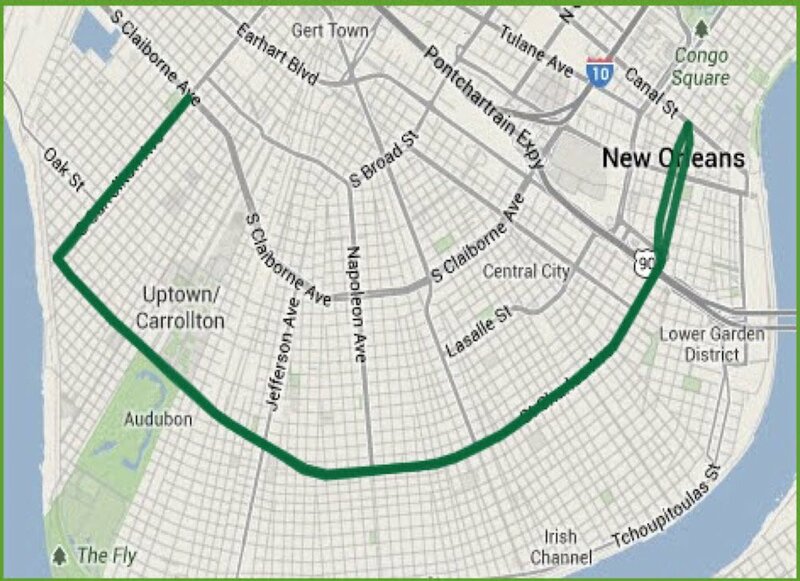 The dark green line indicates the St. Charles Ave. Streetcar Line Tracks. Uptown/Carrollton area is the approximate location of Tulane University at 6823 St. Charles Ave. The French Quarter hotel, Wyndham, is located the furthest from Tulane at 124 Royal Street. This is very near where the dark green line reaches Canal Street – in New Orleans this would be known as downriver from Tulane University. The two CBD hotels are located near the dark green line almost exactly where New Orleans is printed. The Garden District hotels are all located on St. Charles Ave. – 3626, 3636, and 3811 St. Charles Ave. These are the closest to Tulane University located between Napoleon and Louisiana Avenues. Napoleon is marked on the map while Louisiana Avenue is the darker gray line downriver from Napoleon Avenue.